ARTS San Francisco is returning to our new location for our 10th annual show! Visit us this year from Friday October 19th to Sunday October 21st 2018 at the Greenwich Inn. 3201 Steiner St, San Francisco, CA 94123. Our venue is under contract and will be available for our dealers only. If you will be visiting San Francisco from out of town and would like to know about nearby places to stay please contact us. 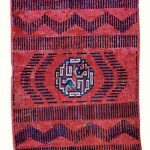 Over the last decade ARTS has become the leading venue in both the US and internationally for authentic and unique antique rugs and ethnographic textiles and an annual highlight for collectors and dealers alike. Top international dealers will be participating in the ARTS Dealers’ Row. 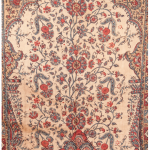 Ask about our seminars for collectors and those new to collecting antique rugs and textiles. Please RSVP for our opening reception and early buying, Friday October 19, 2018 at 2:30 pm. Dinner and refreshments served from 5:00 pm. Please use the PayPal link or send a check to our mailbox. The cost is $25 when you RSVP or $40 at the door. Student groups, please contact us for complimentary entry information. We reserve the right to refuse service or admittance to anyone. Please note, while we are extremely grateful at the level of anticipation that ARTS is generating, we kindly advise visitors that browsing before the show officially begins or during setup will not be permitted. Admittance is free and open to the public Saturday, October 20th from 10:00 am to 8:00 pm and Sunday, October 21st from 10:00 am to 5:00 pm. Join us this year for three special events at ARTS! ARTS 2018 will again be hosting a special exhibition, ‘Dealers’ Choice,’ a selection of pieces from the participating dealers’ private collections. 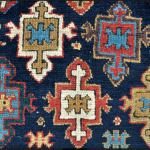 A look at the geopolitical history of Pre-Soviet Central Asia in order to understand the rise of the rich tradition of ikat fabrics production from the early 19th century to the 1920’s. The region ended up making four different types of ikats and each can be defined by the aesthetic characteristic in their weaving. Often the rich free flowing designs of ikats get described as simply archaic or abstract expressions. But there is perspective that can be explored in order to read their designs. They are often motifs of fertility, protection and prosperity, all rooted to the deep history of the region and often appear in other art forms made in Central Asia. Ali Istalifi, based in London, is a leading specialist and dealer in Central Asian textiles, weaving and ethnographic arts. His father, Abdul Istalifi, a prominent rug and textile dealer in Kabul, Afghanistan, moved his family to the U.K when Ali was ten years old. Ali received a BA with honours in Film and TV studies and wanted to pursue a career in media, but shortly after he graduated, September 11th happened, which subsequently lead to Afghanistan being liberated from the Taliban. Ali decided that he wanted to return and help rebuild his father’s war torn home town, Istalif (from where he got his surname.) In the process of successfully regenerating the economy of Istalif by rebuilding their local bazaar and reviving their famous traditional pottery art, Ali accumulated an exceptional collection of silk textiles for himself and others, just as his father had helped many prominent collectors around the world to build theirs during the 1970’s and 1980’s. Ali Istalifi has spoken at the World Ikat Symposium sponsored by the World Craft Council and held in the Brunei Gallery at the SOAS (School of Oriental and African Studies) in London, as well as to the Oriental Textile and Rug Society of Great Britain (ORTS,) and to many other collectors’ groups. He was also invited to write the catalog for a special exhibition of Central Asian ikats in the Birmingham Museum of Arts (Alabama) and was one of the keynote speakers in their symposium on ‘Communities of Clay’. Ali invites San Francisco Bay Area Rug Society (SFBARS) members, and ARTS visitors and guests to bring examples of IKATS for a show & tell following his talk. Textile Historian John Gillow will be joining ARTS this year. 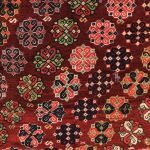 He will be lecturing on the rich legacy of Islamic textiles providing didactic examples from several regions, epochs, and genres. John Gillow has spent over three decades studying, collecting, and lecturing on textiles. He is the author of many books including: Kantha (2017), African Textiles: Color and Creativity Across a Continent (2016),Indian Textiles (2014), Islamic Textiles (2013), World Textiles: A Visual Guide to Traditional Techniques (2005), Printed and Dyed Textiles from Africa (2001), and Traditional Indonesian Textiles (1995) among others.